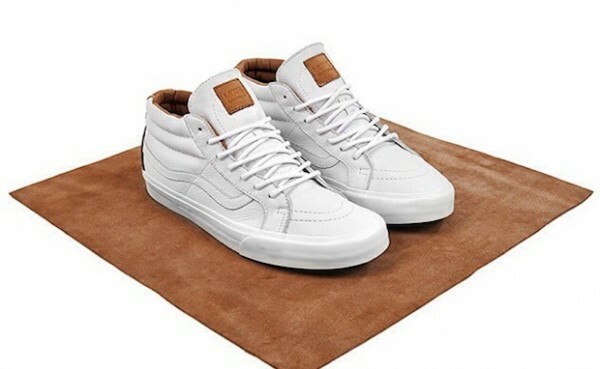 Lifestyle/Skate footwear brand Vans California gets the summer started off right with their new “Clean White” pack. The branded decided to keep everything classic, giving their two popular SK8 Mid & ERA silhouettes a fresh fashionable “clean white” make over. 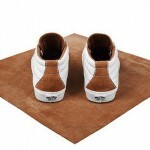 Vans hit both models uppers with premium icey white leather with suede brown accents throughout key parts of the shoes. 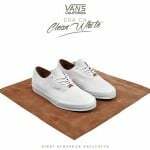 The Vans CA “Clean White” Pack will be available April 25th over at the Vans online shop.